The Johan Cruyff Foundation supports sports projects for children around the globe. Johan Cruyff, a former footballer famous the world over, is convinced that playing sports together improves society, builds contacts and fosters solidarity and understanding. The foundation devotes special attention to youths who are handicapped or from deprived backgrounds. 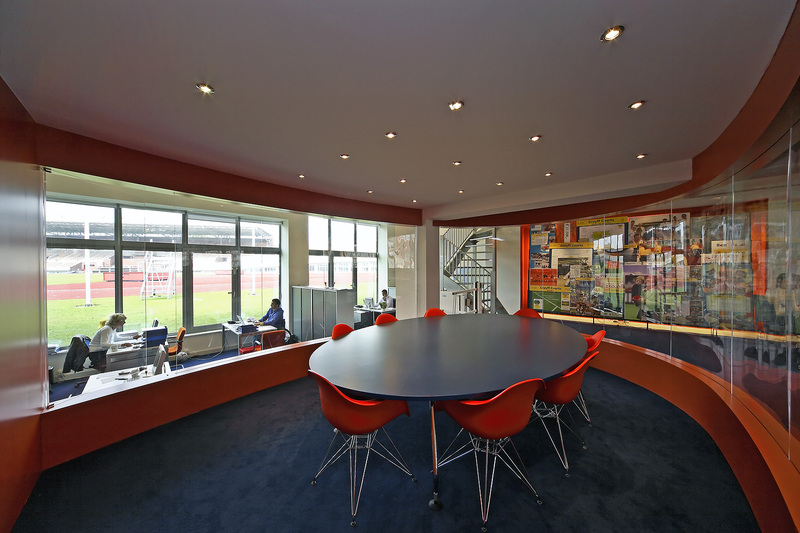 Located beneath the stands of the reconstructed Olympic Stadium, the offices of the Johan Cruyff Foundation needed to reflect the aims of the foundation in their design. In the original layout, the large conference table occupied the heart of the space. A major objection, however, was the disturbance caused to people in the work spaces. 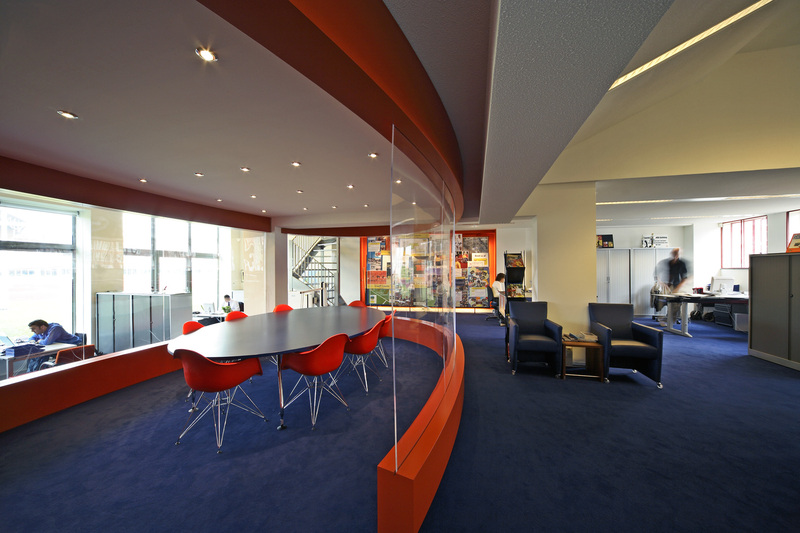 In the new interior, a transparent egg-shaped half-closed conference room becomes a symbol of contact and interaction. Arranged around this central element are the work spaces. Orange, the colour of the foundation, crops up in various interior elements: as an illuminated plane behind the poster wall, in a ring above the conference space, and as highlights in the dark-blue floor.